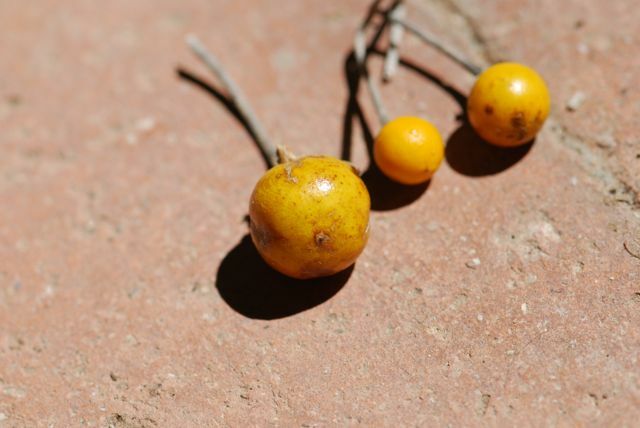 As Craig figured out, our mystery seeds from last week were from plants of the genus Solanum. The seeds were from the above plants, which are silverleaf nightshade (Solanum elaeagnifolium), I believe. The seeds are found in bright orange-yellow fruit. 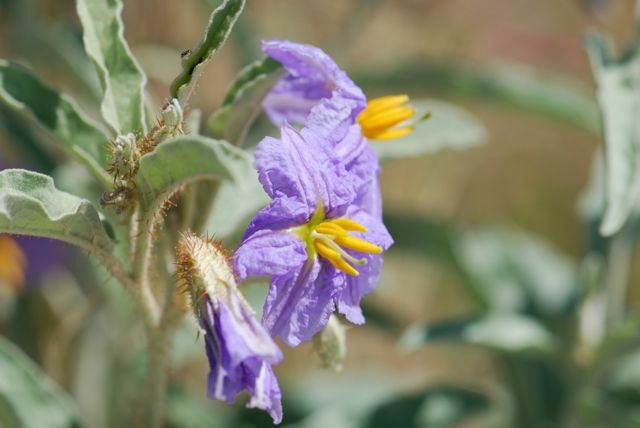 Several nightshades in the genus Solanum grow in Arizona. 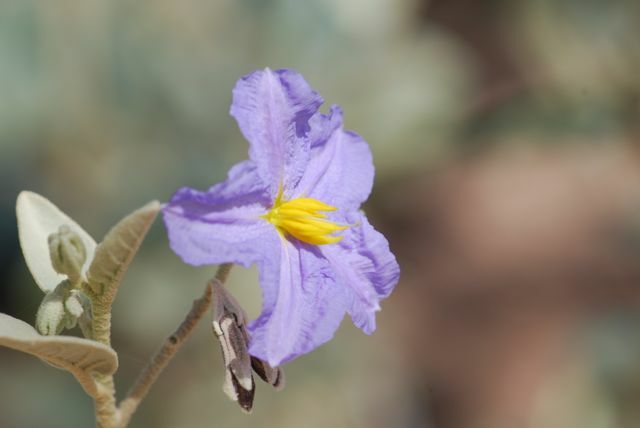 This is the similar Sonoran or Hinds' nightshade, Solanum hindsianum. 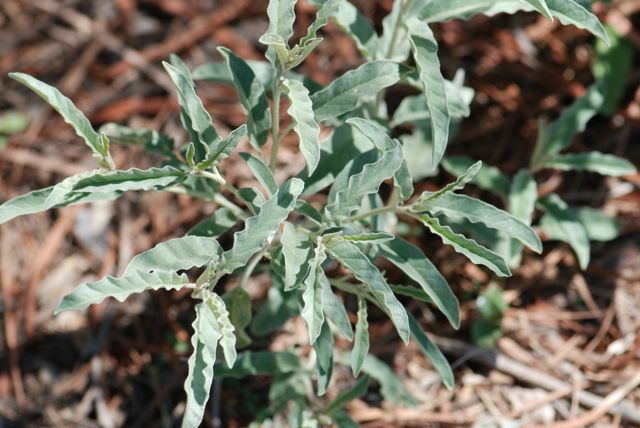 The Sonoran nightshade has smaller leaves. 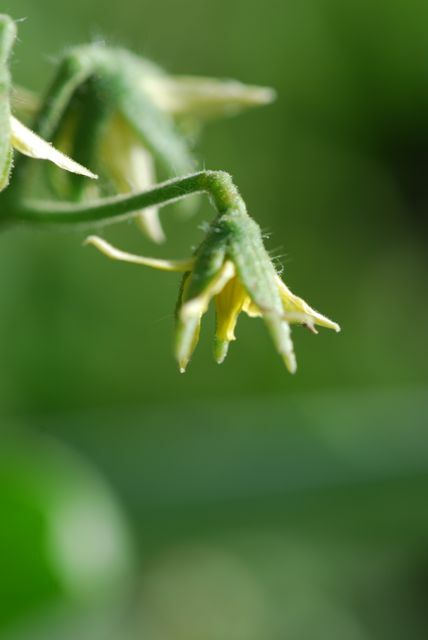 Of course, you might recognize some other members of the genus, such as Solanum lycopersicum, or tomatoes. Another common member of the same family (Solanaceae) is the blue potato bush vine, a landscape plant that is buzz pollinated by bees. 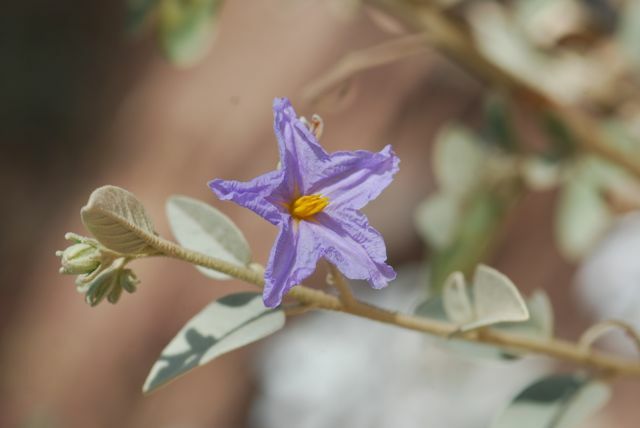 It used to be called Solanum rantonnetii, but has recently been moved to the genus Lycianthes. 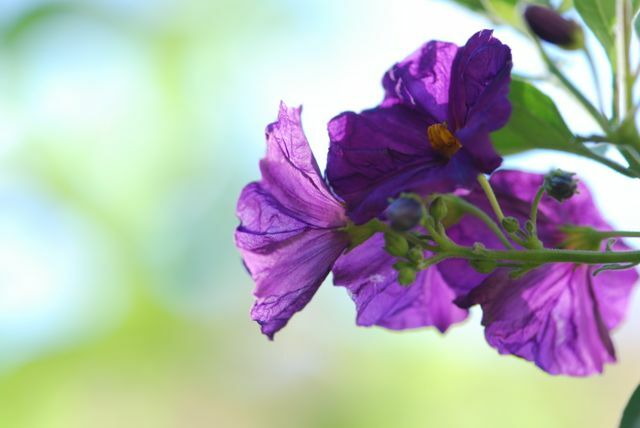 As you can see, the purple flowers are similar in structure to the nightshades above. 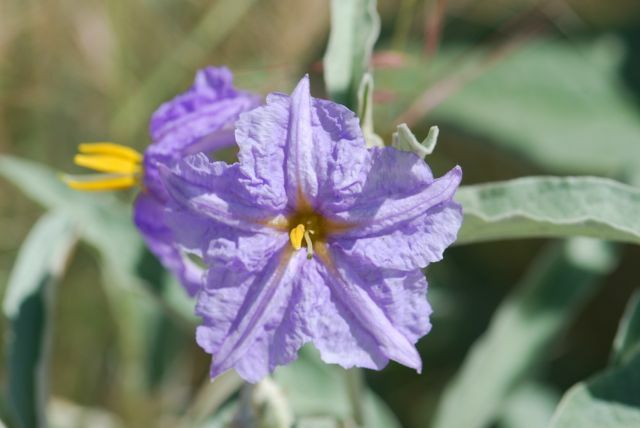 Doe silverleaf nightshade grow where you live? What about other members of the genus Solanum?